Very tasty and easy appetizer, which is suitable for everyday kitchen and for the festive table. 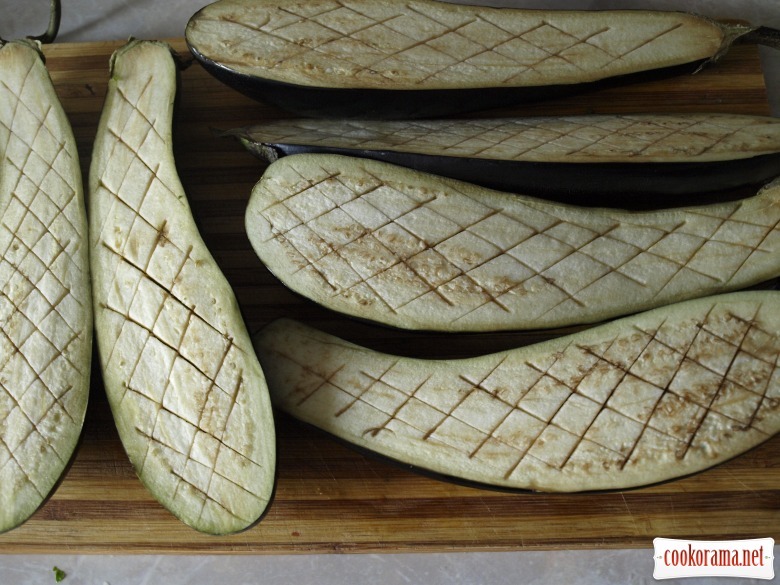 Cut eggplants in two parts, make net with knife in the pulp and send in a preheated oven. 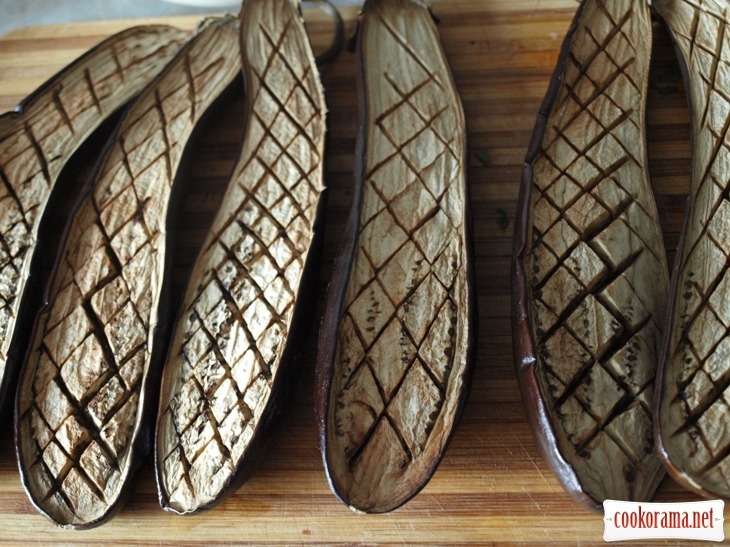 Bake eggplants for 30 min. 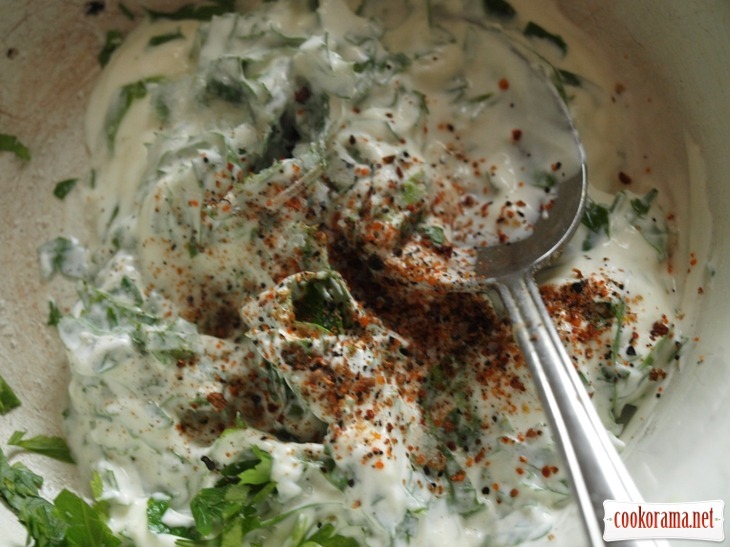 Chop parsley, mix with sour cream, press garlic, add salt and pepper. Sauce is ready. 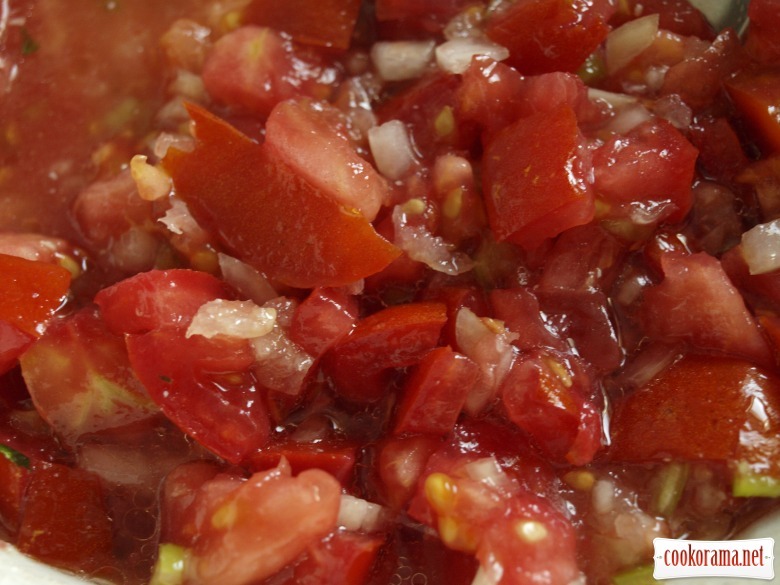 For tomato salsa chop tomatoes, onion and chili pepper, mix all with olive oil. Add salt and pepper. 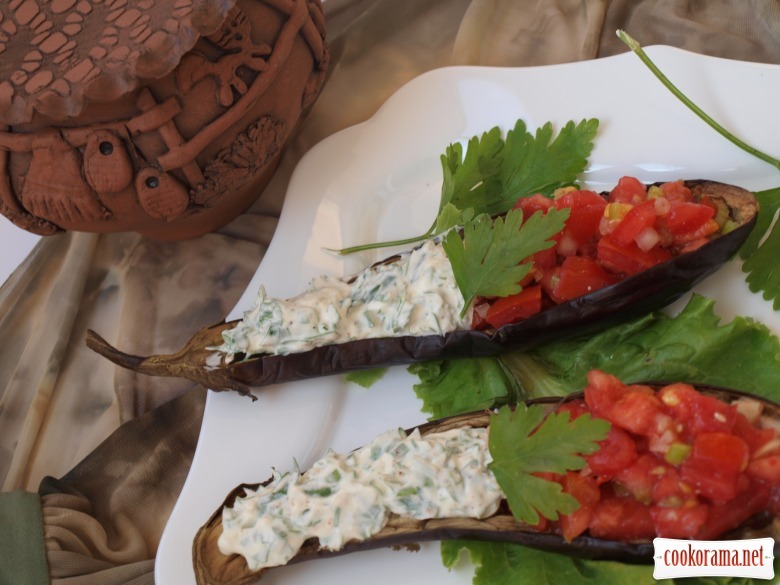 Remove pulp from eggplants and fill half with sour cream sauce and half with salsa. You can use pulp for vegetable salad. 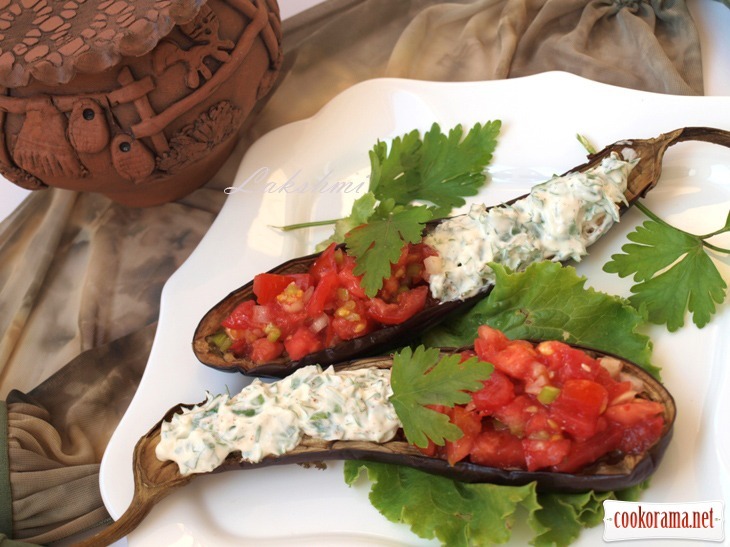 Top of recipe "Baked eggplants with sour cream sauce and tomato salsa"